David Tennant, Billie Piper to return to Doctor Who! 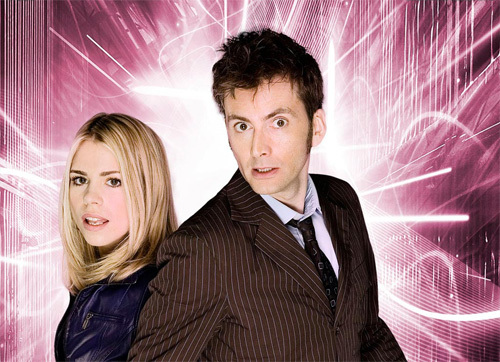 Big news for Doctor Who fans as David Tennant and Billie Piper, last seen in the 2-parter ‘The End of Time‘, on New Year’s Day 2010, will be appearing in the Doctor Who 50th anniversary special. The 90 minute episode, directed by Nick Hurran will be shot in 3D and receive a limited worldwide cinema release. The news, announced on twitter by Doctor Who fansite, Blogtor Who is due to be announced officially in the next issue of Doctor Who magazine. *Update* The BBC official Doctor Who blog has since confirmed the casting news. Tennant and Piper definitely returning. 73-year-old, Oscar-nominated, actor John Hurt (Alien, The Elephant Man, Merlin) will also have a guest role in the episode. Doctor Who Magazine, issue 459 is available to buy from April 4. Doctor Who returns to BBC One tonight with BBC One ‘The Bells of St John’ at 6.15pm. The 50th anniversary special begins filming this week.